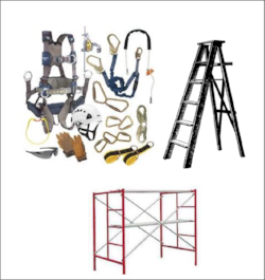 Included in the program will be general requirements for Walking/Working Surfaces, Ladders, Stairways, Scaffolds and Rope Descent Systems; Employers Duty to Have Fall Protection and Falling Object Protection; Criteria and Practices for Fall Protection Systems and Falling Object Protection, and Training Requirements. Attendees will have the opportunity to participate in hands-on activities. A live demonstration of Personal Fall Arrest Systems is planned. Classes are held at The Safety Council of Northwest Ohio, 8015 Rinker Pointe Court, Northwood OH. This form stopped accepting submissions on May 31, 2017 8:00 am EDT.